Enjoy the taste of Abuelo’s, voted #1 Mexican Restaurant since 2006, without the wait! Download our mobile ordering app and experience convenience at your fingertips – It’s fast and easy ordering straight from your mobile device – available on IOS and android. 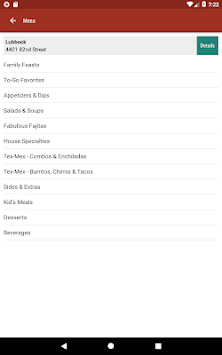 You can browse our menu and customize your meals for speedy pickup. Check out as a guest or sign-in to save your favorites for future repeat orders. You can also track your Mi Abuelo’s Rewards and earn some more points along the way. 1. 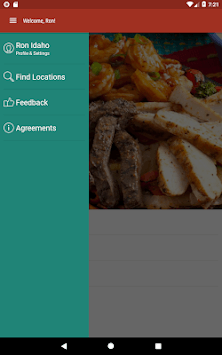 Locate nearest location - On the road and in the mood for Savory Mexican or Tex Mex? Find the closest Abuelo’s location with a hit of a button! 2. 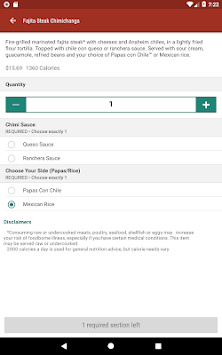 Customize your orders – Have it just the way you like it, order and customize your meals right from the palm of your hands. 3. Earn mi Abuelos Rewards – Login in to redeem your Mi Abuelo’s rewards and earn more along the way!